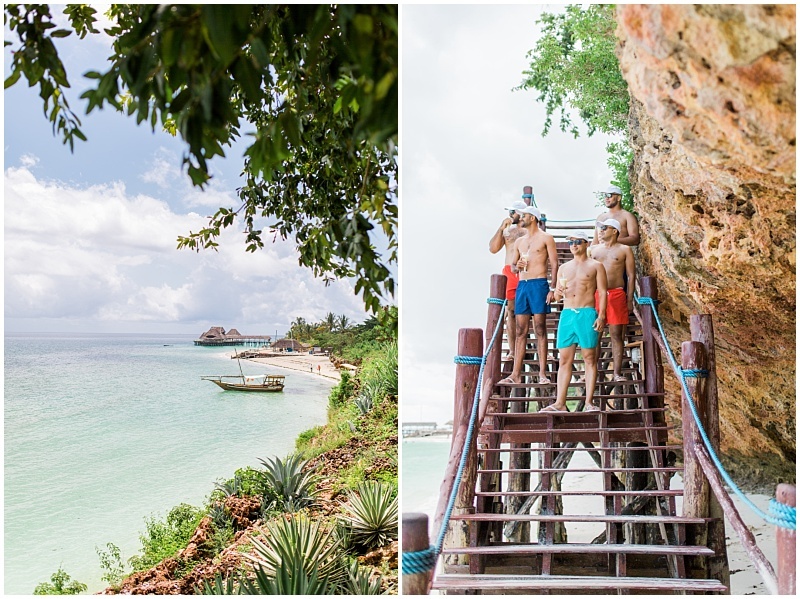 The mystical spice island of Zanzibar is synonymous with pristine sandy beaches, mesmerizing views across a turquoise blue sea dotted with dhows, rose-coloured sunsets, the captivating Swahili culture and the incredible cuisine! 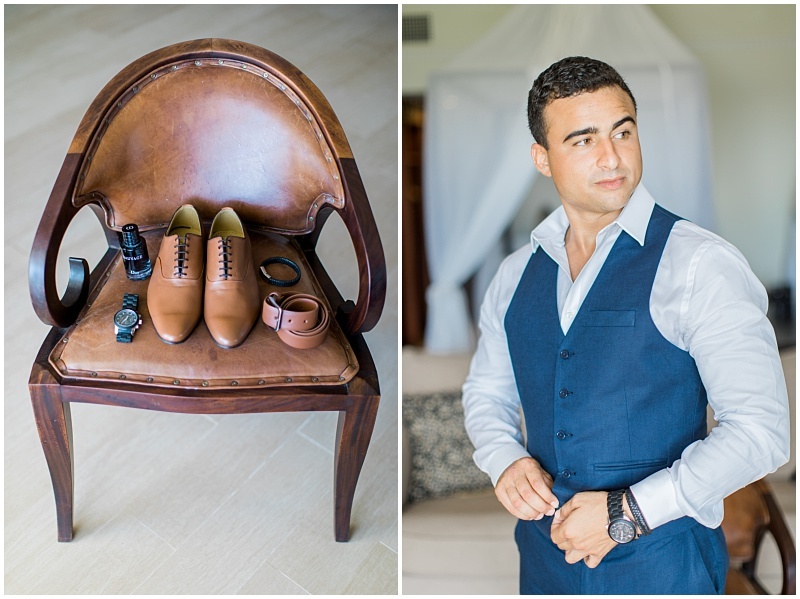 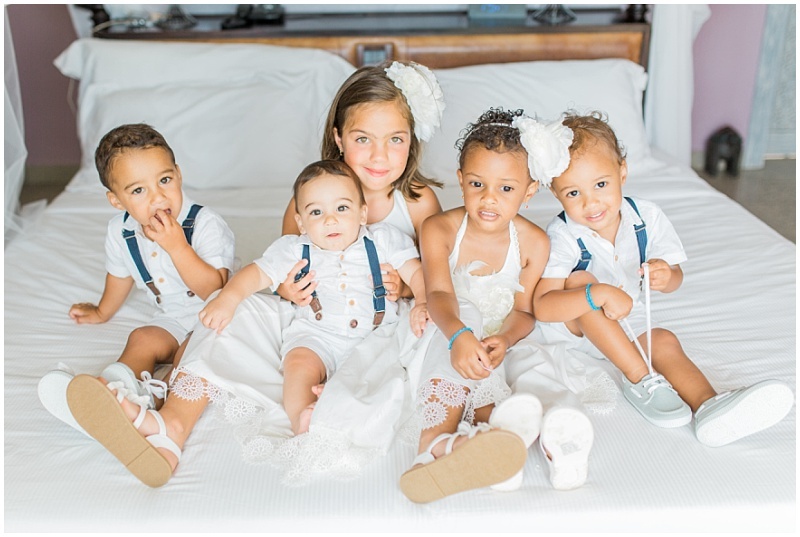 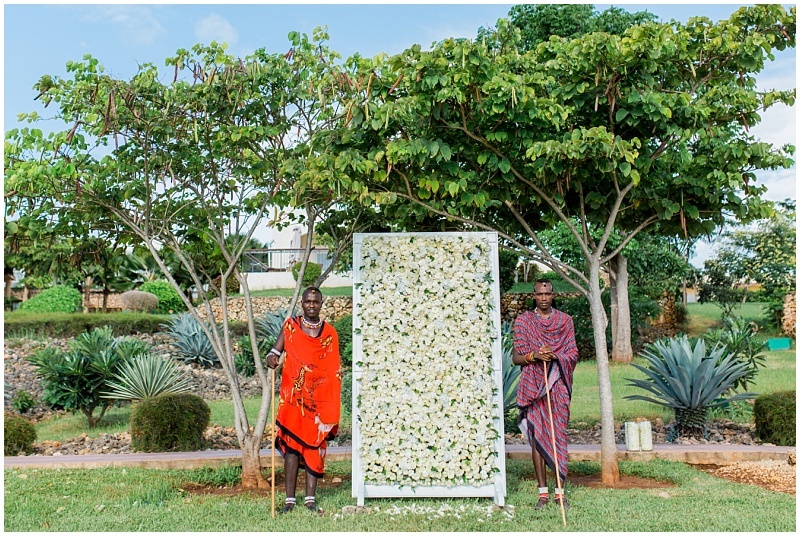 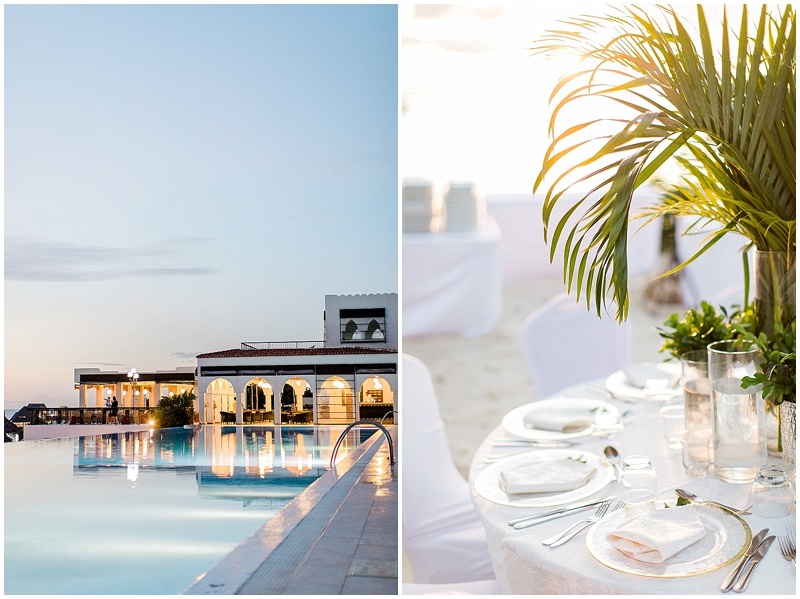 These were but a few of the reasons that Zambians, Jelena and Zein, selected this exotic Indian Ocean paradise as the setting for their destination celebration. 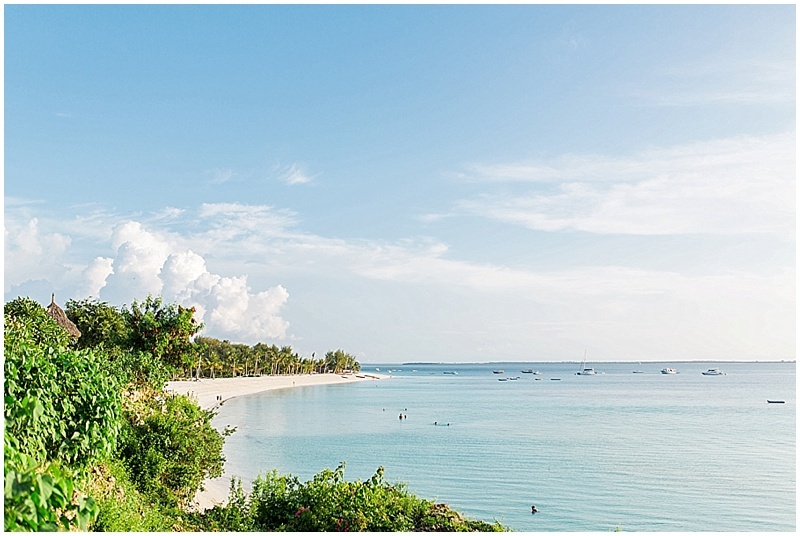 Nungwi, a charming little village at the northern tip of Zanzibar, boasts some of the most beautiful beaches that are unaffected by the island’s tides, resulting in gorgeous long stretches of pristine beaches and crystal clear blue seas all day! 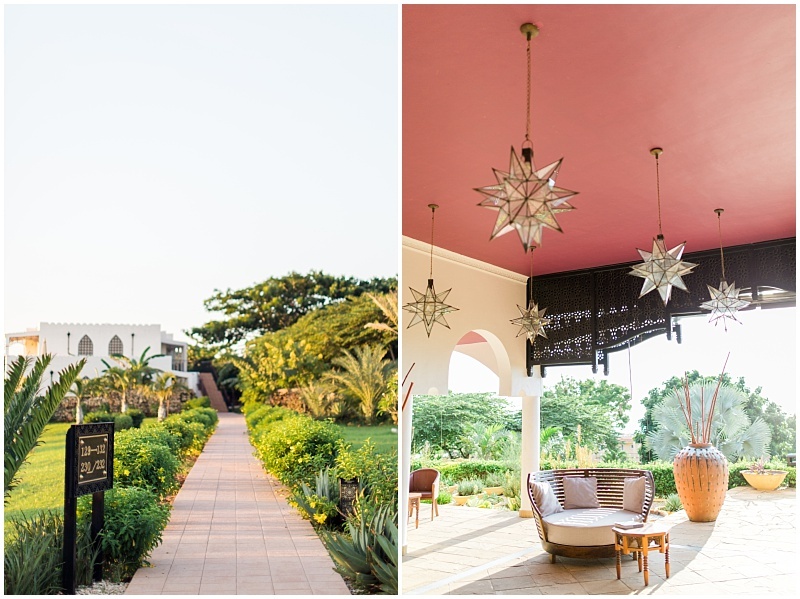 The Hideaway of Nungwi is a 5 star resort located on this stretch of beach and nestled amongst 10 hectares of lush tropical gardens. 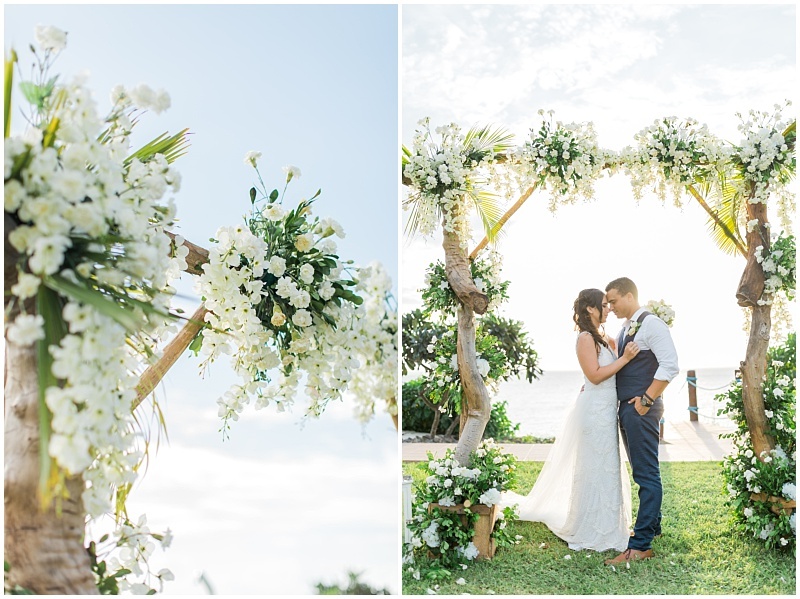 It was at this perfect hideaway, amongst frangipanis, ylang ylang and palms trees, that our wedding team and travel team from Travel Concepts, would handcraft a bespoke and exclusive destination celebration. 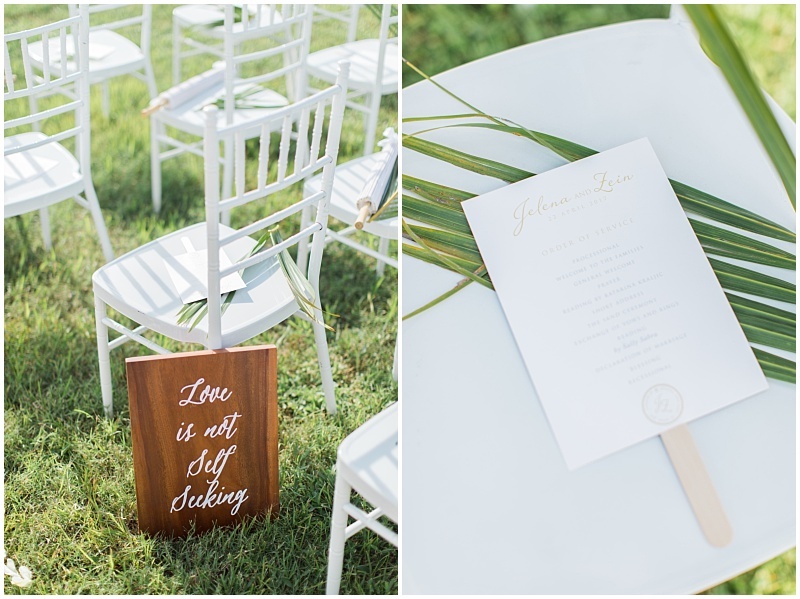 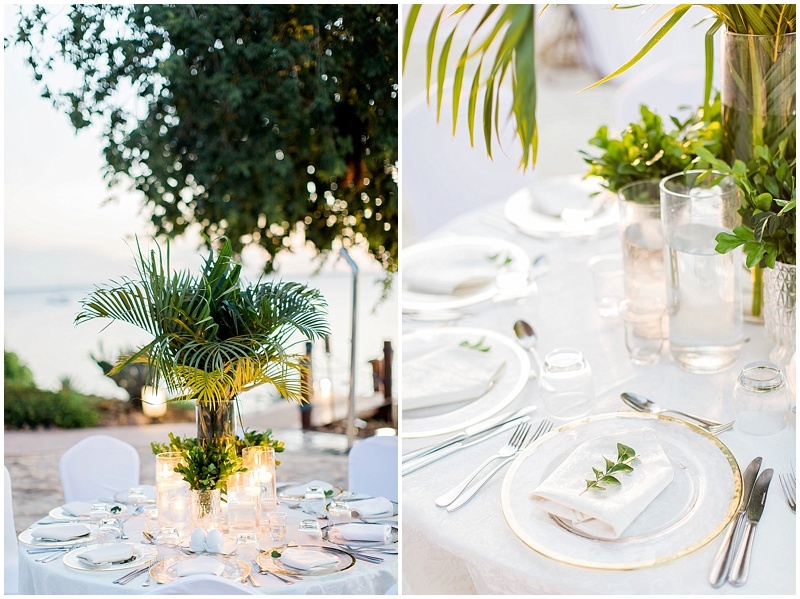 The wedding weekend kicked off with a sumptuous beachside barbeque with tables that were adorned with palm tree fronds and tropical lush greenery. 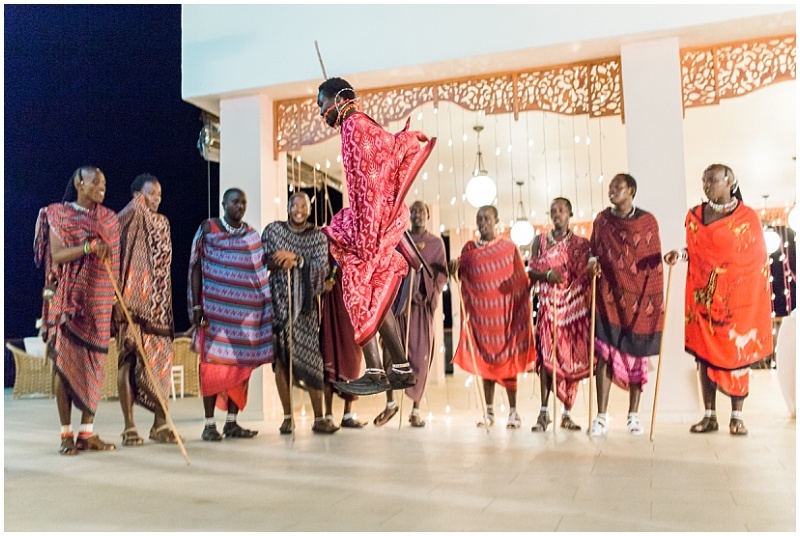 Guests met for the much loved African tradition of enjoying cocktails whilst watching the sunset, followed by a fabulous 3 course dinner accompanied by entertainment from an amazing 7-piece local band. 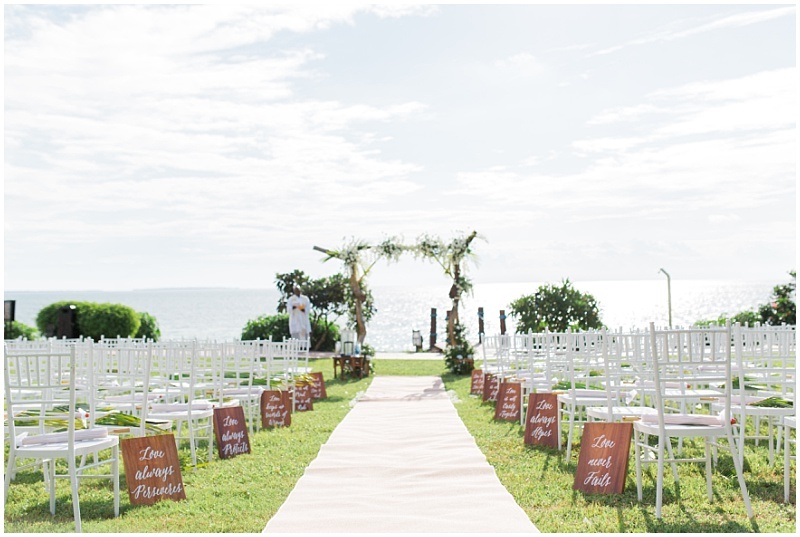 This was the perfect prelude to what lay ahead! 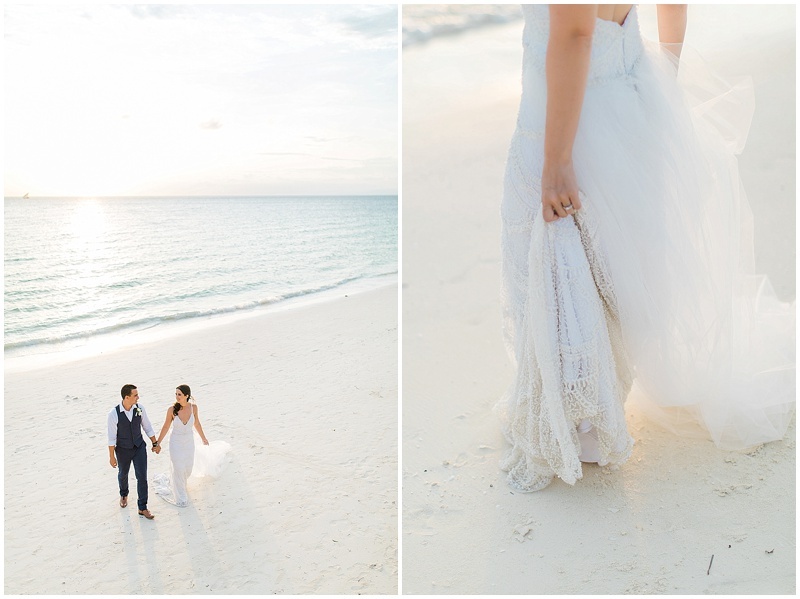 The impending rain clouds cleared and Zanzibar served up picture perfect clear skies for the wedding day. 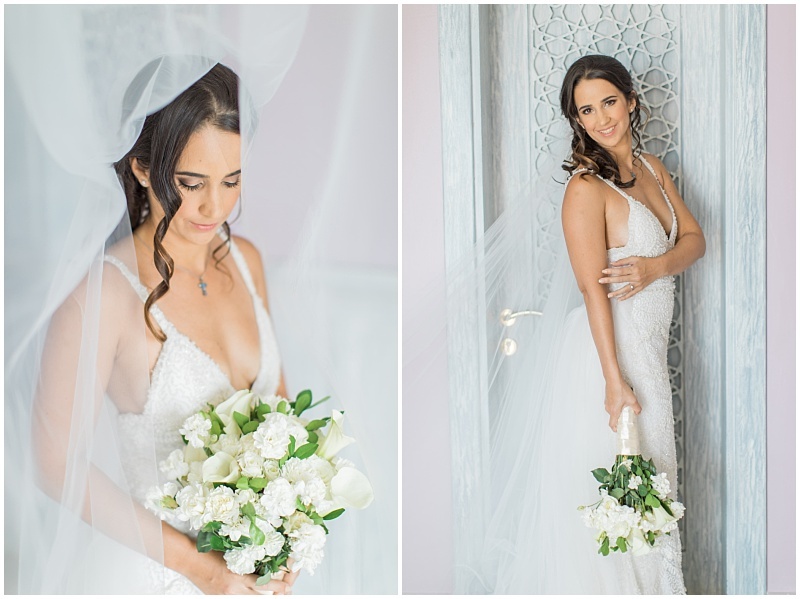 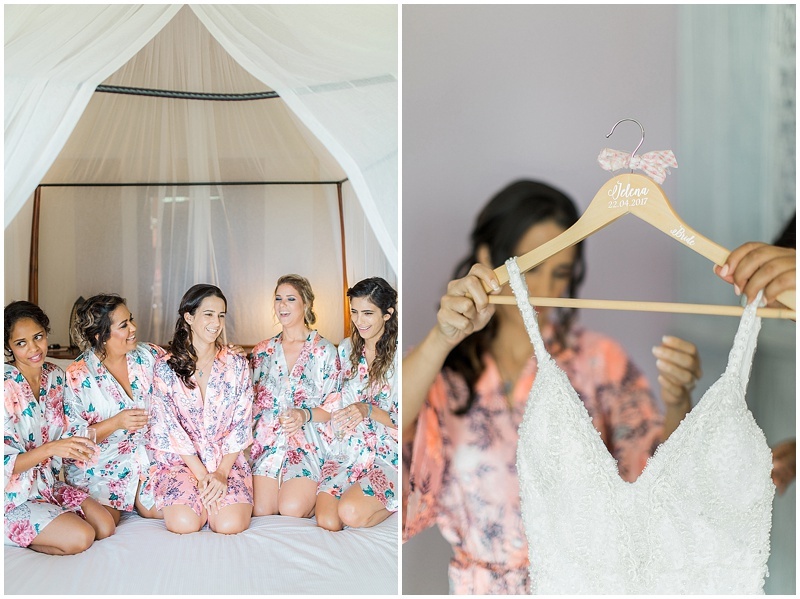 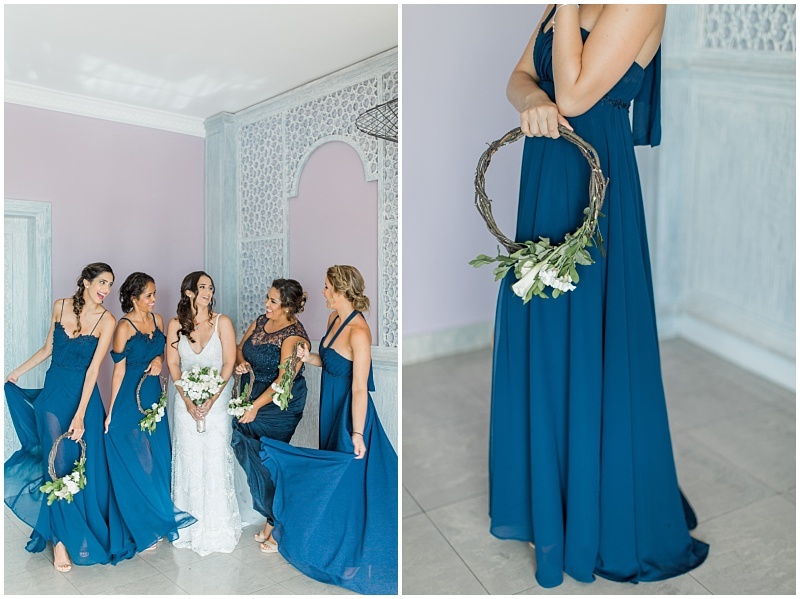 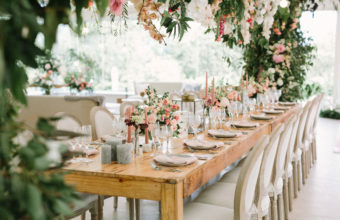 With the wedding having been planned and designed all the way from Cape Town, our team, along with local Tanzanian suppliers, kicked into high gear on the day to create Jelena’s dream celebration. 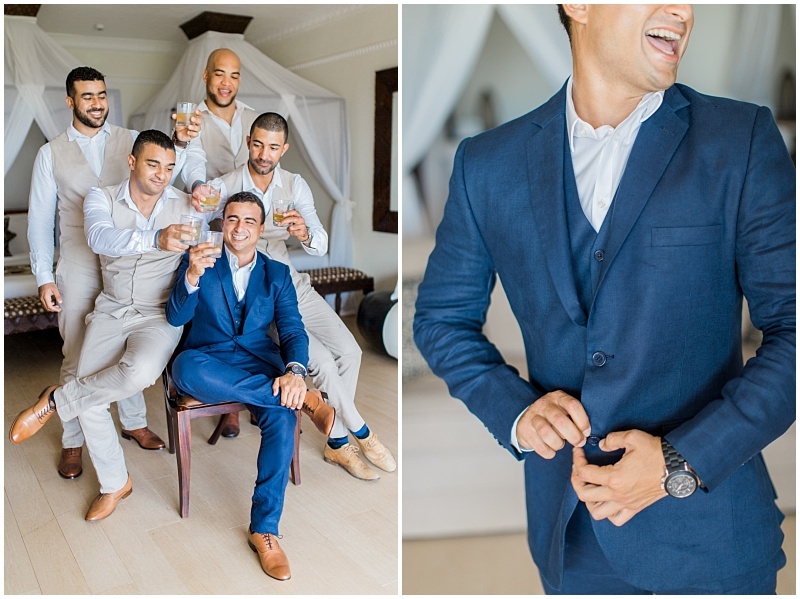 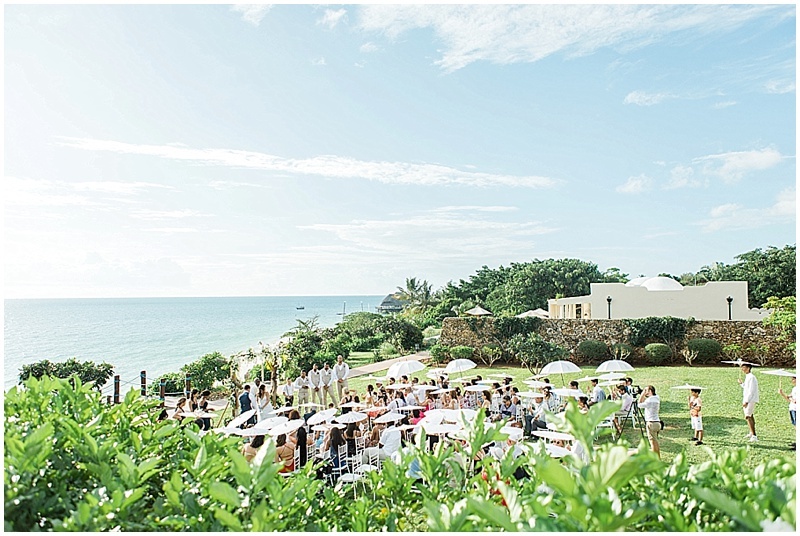 The ceremony location was a garden that looked over the steep cliffs of Nungwi and across the azure blue sea. 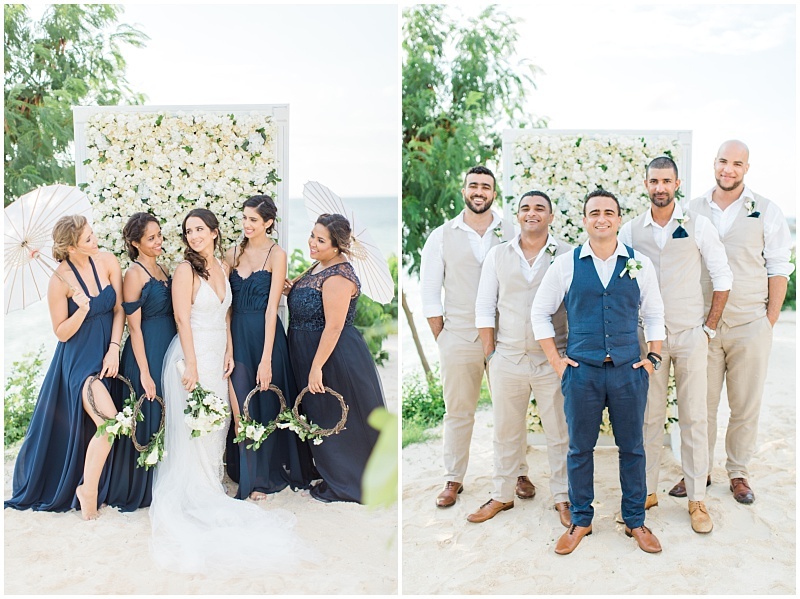 Our team designed a space that would take full advantage of the incredible views and highlight them with beautiful décor elements and structures adorned with tropical florals. 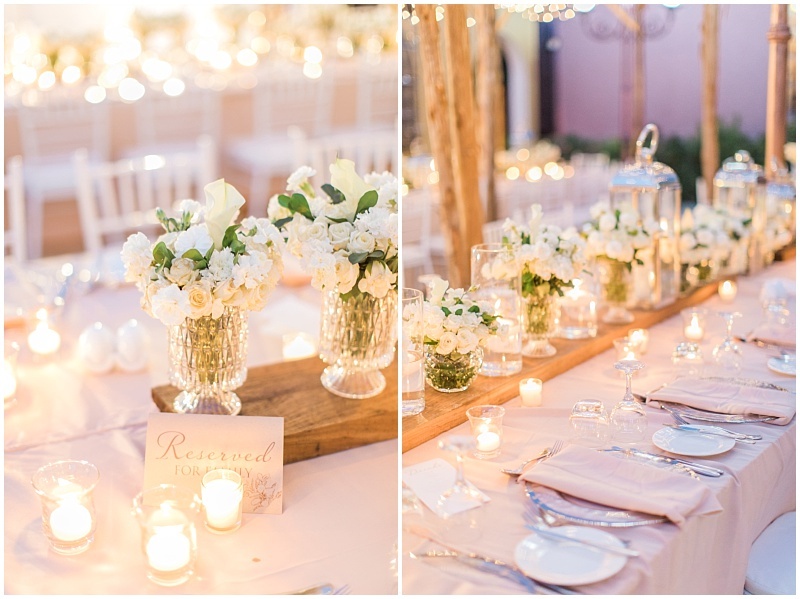 Many of the smaller yet key décor items that added detail on the day were flown in with our team from South Africa. 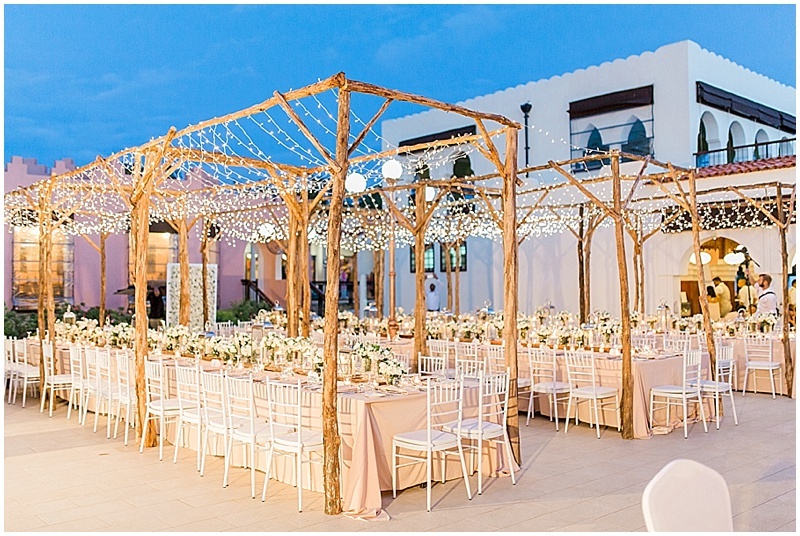 The reception setting was a large terrace enclosed with beautiful Arabic-style columns. 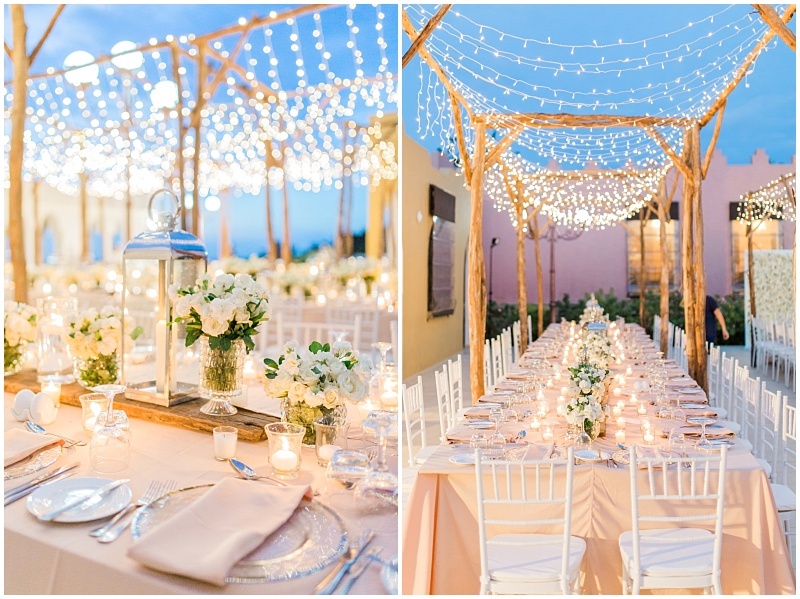 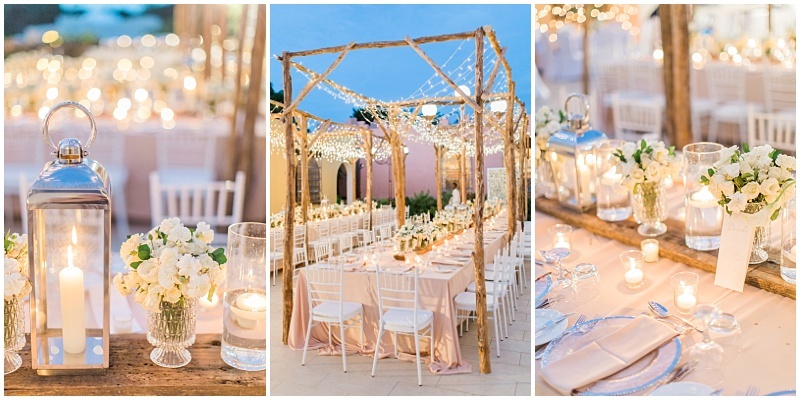 In order to add a softer rustic element to this space, and to suspended dozens of imported fairy lights; 3-meter high and 9-meter long wooden canopies were built on site and placed neatly over the tables. 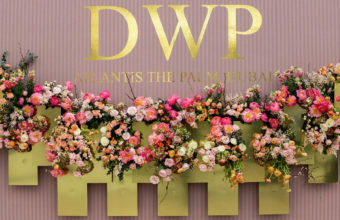 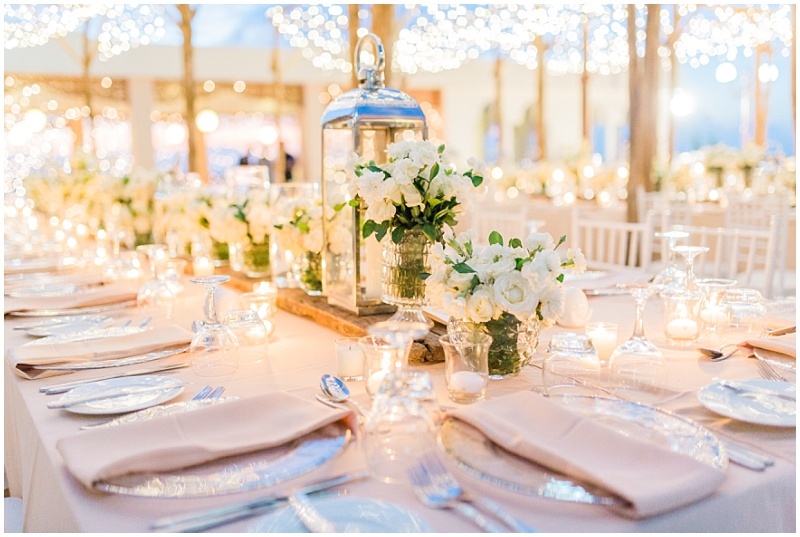 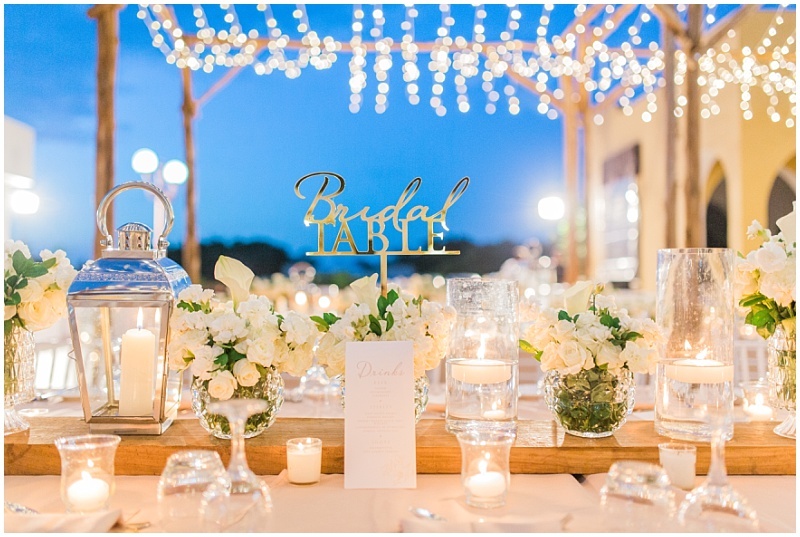 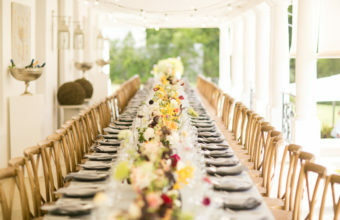 The tables were adorned with heavy sleeper-wood planks, which were topped with elegant and full floral arrangements in crystal and glass containers with only white flowers. 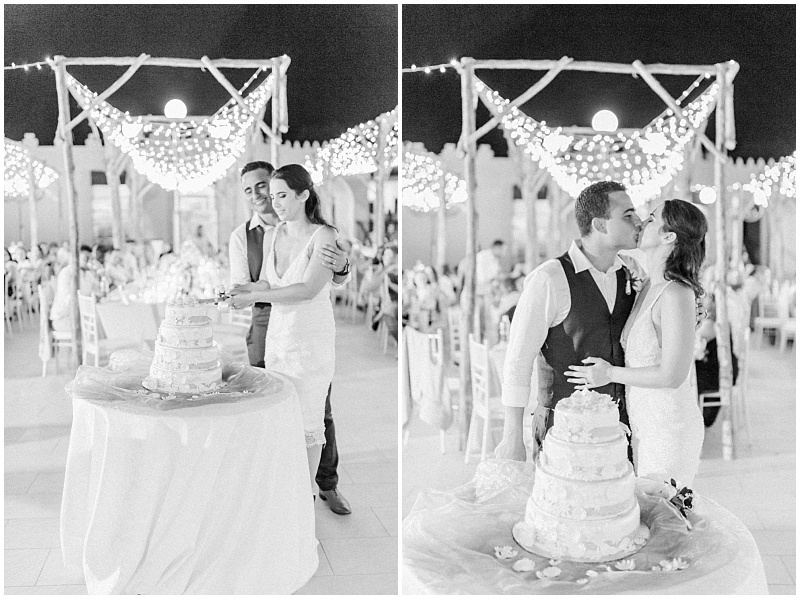 Silver lanterns and pillar candles subtly denoted back to the Arabic influenced chic of the hotel. 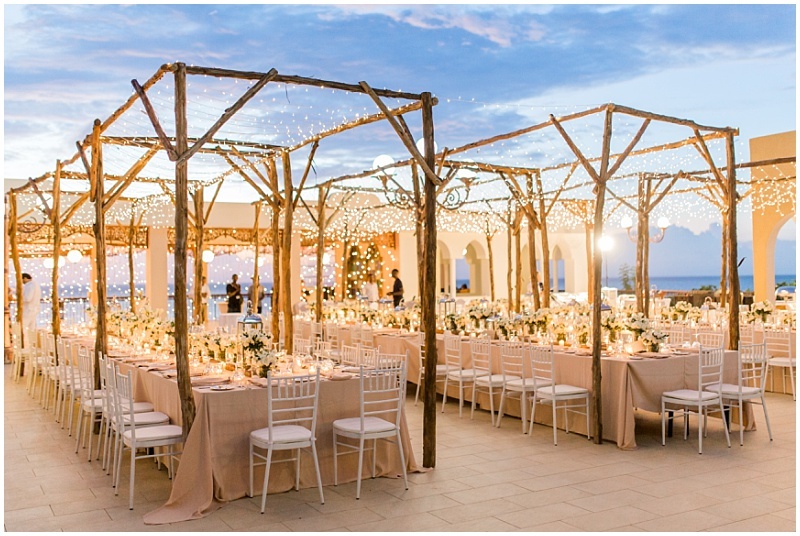 From scenic wine estates in the Cape, to remote luxury bush lodges in the Kruger Park – or for Jelena and Zein who dreamed of an exotic hideaway tucked away amongst the cliffs of Rus Nungwi in Zanzibar – our design, planning and management teams thrive on transforming incredible settings into personal and extraordinary wedding spaces.